Our commentary track for Iron Man is available for listening or download right here. Last month, Paul and AJ recorded a commentary track for Jurassic Park. 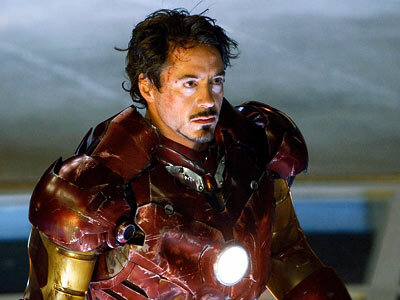 Now, with The Avengers on its way, they decided to blab all over Jon Favreau’s instant classic superhero film Iron Man. Things that occur: Paul and AJ confess relative ignorance of Iron Man’s comic book adventures; AJ professes his desire to marry Pepper Potts; Paul admires Jeff Bridges’ beardliness; and much–too much?–Tony/Rhodey slash is read. Really. That happens. Several times. Like last time, we give you some time to set up your DVD/Blu-ray, so you can go ahead and start the commentary before you start the movie. This entry was posted in Shameless Self-Promotion and tagged audio commentary, commentary track, film, gobbledygeek, iron man, jon favreau, jurassic park, libsyn, movies, podcast, robert downey jr, the avengers. Bookmark the permalink.